Alzheimer’s disease(AD) is a neurodegenerative disorder characterized by the deposition of β-amyloid peptide(Aβ) in the brain tissues, and an imbalance in the oxidant-antioxidant system. Compounds with antioxidant activity and the ability to inhibit Aβ aggregation therefore potentially treat AD. In this study, we designed an iron-porphyrin containing bifunctional peptide(BP, Deuterohemin-AlaHisThrValGluLysLeuProPhePheAsp) based on natural microperoxidase-11(MP-11) and typical β-sheet breaker LPFFD(iAβ5p). This BP substantially reduced the aggregation of Aβ and caused oligomer disassembly, by binding Aβ with affinity constant of 9.07 μmol/L. Furthermore, it showed a neuroprotective effect on Aβ25—35 induced toxicity in SH-SY5Y cells, and significantly alleviated Aβ-induced paralysis and extended lifespan in Aβ1—42 transgenic C. elegans(CL4176). It also showed a potent peroxidase activity of 20.8 U/mg, and scavenged free radicals both in vitro and in vivo. In addition, BP up-regulated the levels of hsp16.2, hsp16.41, and hsp12.6 mRNAs to 183.26%, 160.16%, and 162.64% respectively, and down-regulated that of hsp70 to 36.76% in C. elegans. Taken together, the synthetic BP inhibited Aβ aggregation and showed antioxidant activity, indicating the therapeutic potential of novel peptide drugs against AD. 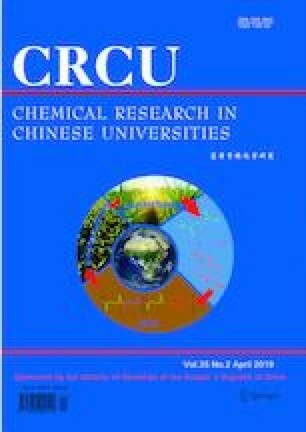 Supported by the National Natural Science Foundation of China(No.31401086), the Science and Technology Development Program of Jilin Province, China(No.20150520157 JH), the Postdoctoral Science Foundation of China(No.2015M581398) and the Special Project for Health from Jilin Province, China(No.2018SCZWSZX-037). Supplementary material is available for this article at https://doi.org/10.1007/s40242-019-8299-y and is accessible for authorized users. Supplementary material, approximately 180 KB.